Servicing your vehicle is mandatory, but unfortunately, getting the repairs and maintenance you need is rarely easy. You pay a lot of money and put up with a lot of inconvenience just to get work done that might not fully solve the problem. For drivers who really value the investment they’ve made in their vehicle, this is major concern. When you’re looking for a team you can trust, head to Knight Ford Lincoln. Our service department is high-tech and expansive. Our technicians receive extensive training. And our facility is set up to perform any kind of service on any make or model. There is no doubt that your vehicle is in good hands when you bring it to us. We also go the extra mile by working around your schedule, offering discounts and deals on the most common kinds of service, and accommodating your special needs and requests. That’s why so many people from Regina, Saskatoon, Swift Current, Weyburn, Assiniboia have made us their source for expert automotive service. 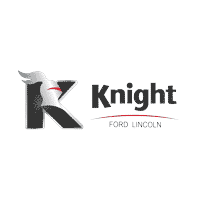 Make an appointment, and discover how much better things are at Knight Ford Lincoln.